Megan Greenhalgh in Lifestyle Travel on 18 November, 2018. Should a food allergy prevent you travelling around the world? Surely not. This was my assumption when signing up for a trip to Cambodia this summer; my peanut allergy did not cross my mind, rarely thinking twice about what I’m eating in the UK where I simply avoid anything that explicitly contains peanuts. In fact, it was rather close to my departure that I began to really consider how difficult managing my allergy would be whilst travelling within Asia. I turned to the internet for advice. Certainly, travel in general with any type of allergy can be a challenge. The risk of travelling abroad for severe and fatal food allergic reactions hasn’t gone unnoticed. The tragic case of a girl dying after eating a Pret Sandwich on a British Airways flight to Nice occurred just earlier this year. The prevalence of peanut allergies within Asia is found to be much lower than countries like the UK, for example with much speculation as to the reason for this. Some website claimed that because of the climate of tropical destinations such as Cambodia, the protein found within peanuts that results in allergy acquisition is broken down and thus rates are much lower, whilst others attribute this to their increased exposure to people at an early age. Owing to these stats, there was a general consensus amongst the online community that people are much less likely to understand what a peanut allergy was. 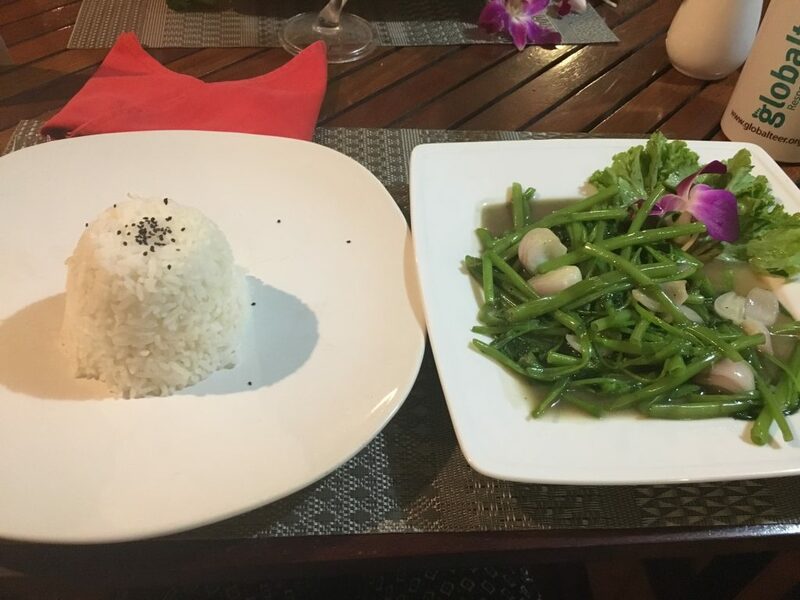 It seemed important to be careful when reporting to restaurant staff as they may not comprehend what you mean, let alone prepare food in a way that would cater for your needs. Essentially, this research made me incredibly nervous about both the journey to Cambodia and my 6 weeks spent in the country so I aimed to prepare myself as much as possible. I thought that I’d share my advice so that others don’t travel unprepared. Research Local Dishes: I carried out rather extensive research into Cambodia’s local cuisine in the lead up to my trip as well as getting in contact with local eateries enquiring as to whether they could cater for nut allergy sufferers – this I think was an over-preparation, done more for my own peace of mind than anything else: whilst there I did not have a single problem. Purchase Allergy Translation Cards: I ordered these from Allergy UK, something that also seemed rather excessive since they translated “If I eat peanuts, I will die” into Khmer. They were rather pricy, yet a useful safety net if it ever becomes difficult to communicate your allergy to restaurant staff. Bring an Extra EpiPen: I went from often forgetting to take my Epipen anywhere in the UK to taking 10 with me for the trip just in case – this was really important as I may not have had access to one abroad I needed one. I also got a letter from the doctor stating why I was carrying them in case they were questioned at the airport. Know your Allergy: This is the most important factor and something I definitely did not have covered before my trip – I had little clue about how severe my allergy was or what may trigger it (although having not had a reaction since aged 7 I had a pretty good idea it wasn’t too severe.) I was actually incredibly lucky that my allergy isn’t triggered by airborne particles as that would have been a problem on the plane. Whilst I was extremely nervous towards the beginning of the 6 weeks, none of the problems I read about ever materialised and as the trip went on, I began to behave just as I did in the UK. In fact, it has made me wonder if all the negativity I found online was simply speculation and non-reputable – it was certainly outdated and perhaps stemmed from a fear of places far away, differences to the West and simply a fear of the unknown. The notion that allergy sufferers should abandon their trips abroad is one I definitely don’t agree with, yet I understand that there the severity of allergic conditions vary massively and preventative measures are hugely important.